Yesterday's San Francisco Chronicle Datebook featured some familiar faces with a double feature on the San Francisco Film Society. 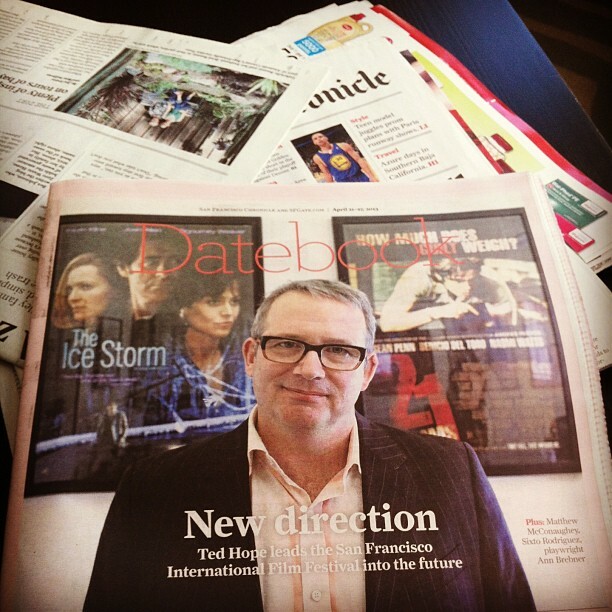 Executive Director Ted Hope made the cover(!) and Filmmaker360 Director Michele Turnure-Salleo talked about helping great films get made. Also, make sure not to miss the bonus 16 capsules full of exciting SFIFF films and events! See you at Opening Night this Thrsday!